Who are we? People with stainless steel appliances! What do we want? 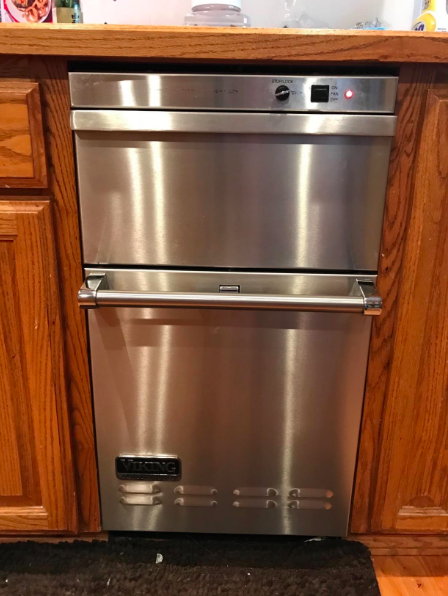 For our stainless steel appliances to NOT be fingerprint-ridden messes! 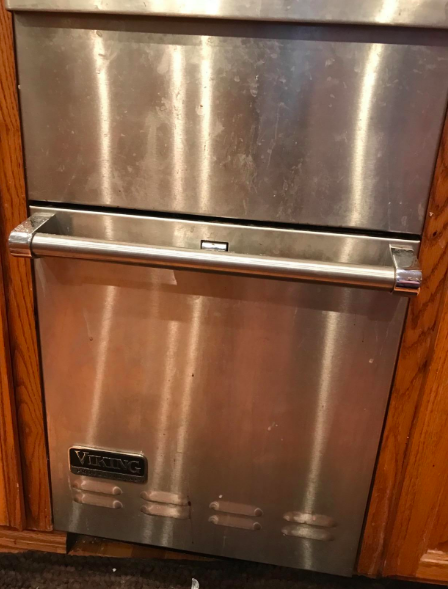 Stainless steel appliances are great in theory, but the fingerprints and streaks that consistently cover your fridge? Not cute. It’s really hard to find a stainless steel cleaner that will genuinely make your major appliances sparkle! That is, it has been hard...until NOW! This stainless steel cleaner has answered your prayers by way of a plant-based formula that removes (and repels) smudges, streaks, and pesky fingerprints. Just a bit of this, and your entire kitchen will look brand spankin’ new. This bottle of magic can be used on everything from dishwashers and sinks to fridges and ovens...AS WELL AS outdoor appliances. Here’s looking at you, barbecue grill that no one has cleaned in 84+ years. PLUS! This cleaner comes with a large microfiber cloth to even further prevent streaks. Win. I suppose I could go on and on about this lovely cleaner, but I feel like a slew of before-and-after pictures would be far more interesting. WOULD YA LOOK AT THIS? And if those pics didn’t do this product justice? 1) We would not be friends, and 2) maybe some written reviews will sway you. Hello? What are you still doing here? Get this stainless steel cleaner from Amazon for $13.97.